For 60 - 70% of all school children, learning to read is a formidable challenge and that for approximately 20 - 30% of them, learning to read will be the most difficult task that they will need to master throughout their schooling. When I realised my daughter was struggling, I was told to "not worry, she will get there." But she didn't get there and three years later I faced my own formidable challenge. If students achieve in the bottom three bands of their Year 9 Naplan testing, they will then be required to sit up to 6 Online Literacy and Numeracy Assessments (OLNA) in order to obtain their Year 12 Graduation (WACE). If this is not obtained and young people then wish to take up a TAFE course or apprenticeship, they will be determined to have only achieved a Year 9 level of education. Parents are also being told "not to worry". In Australia, approximately half of all students do not have what is termed 'functional literacy' levels in Year 9. They cannot read or write everyday documents needed when shopping, travelling, banking, or in the workplace. Not being taught to read using what we know from scientific evidence has consequences. Parents pick up those consequences - educational, vocational and mental health. What do you know about how children should be taught to read? What do you know about the recent changes to Year 9 Naplan testing? What can you do to support your child at home? What do you need to know in order to communicate with their school? And how might you decide if your child needs a deeper look? If you would like to know more about what is required for children to learn to read and how you, as a parent, can help, I will be holding an informal gathering in my home near Fremantle. If you would like further details please contact me on 0417 949 179. For those parents who aren't aware, in Western Australia, students are now required to achieve Band 8 on the Year 9 Naplan to satisfy the literacy and numeracy requirements for graduation. If they don't achieve Band 8 they have six opportunities to sit the OLNA (Online Literacy and Numeracy Assessment) during Years 10 and 11. On the basis of Naplan and OLNA results, students are placed in one of three categories: Category 1 requiring specific learning interventions to assist them to meet the standard in the future; Category 2 expected to meet the minimum standard before the end of Year 12, and; Category 3 who have demonstrated the minimum standard and recommended to enrol in ATAR or General courses. As a parent I have gone to the My School website and checked out the Year 9 Naplan results of high schools I considered for my daughter. All one has to do is go to the Naplan results for a school and look at the percentages that pass each band. For graduation purposes students need to achieve Band 8 or above. This means that for all those students who achieved Bands 5, 6 and 7, they will be offered the OLNA test in Years 10 and 11. Of the 5 or 6 schools that I looked at, I would say that approximately half of the students in Year 9 don't achieve Band 8. Of course, there is considerable variation, but considering that in the latest international data approximately 52% of Year 9 Australian students don't achieve 'functional literacy' standards, then the Naplan results resemble this finding. I am working with students in High School. I have had the opportunity to read information available on government websites about the OLNA test and have worked with a practice test. On the basis of what I have seen here are my recommendations for parents of students with reading difficulties who wish to best support their child so that they pass if and when the time comes. Ensure your child has evidence based reading instruction. The Reading Component of the OLNA requires that students read and interpret paragraphs of information and local signs/tables eg. hazard signs that might be found in workplaces, bus and train timetables, road directory maps. Students must read ACCURATELY if they are to glean information from the written material provided. If students have been taught using whole language or balanced literacy methods and have a tendency to guess words, they will not read accurately and will not understand what they are reading which will reduce their chances of answering the questions accurately. The test is timed. Most of the students I work with read slower than most. But for my money it is far better to read accurately and get the questions that are answered correct, than for a student to read using their usual practices of guessing and omitting many words at a faster pace. The latter may finish the test but get most of the questions wrong, whilst the former may not finish but get more correct. Incorporated within the first point students need to be able to decode unknown words, particularly those of more than one syllable. Evidence based instruction should include polysyllabic word attack skills. Even if the student hasn't seen the word before, if they are able to decode it accurately and subvocalize the syllables, the student will increase their chances of recognising the word even if they aren't 100% sure of its meaning. And if they are accurately reading unfamiliar polysyllabic words, they also have a better chance of gleaning meaning of the word from the context of the sentence. Instead, if a student only focuses on the first few letters, and slots in the first word their brain offers, and if they have become so habituated to this approach that they are used to sentences not making sense then their chances of gleaning accurate meaning are severely compromised. The reading test is timed. Students need to be very practiced in reading. Even though fluent reading may be difficult and they may not like reading, students must be reading every day in the years leading up to these tests, i.e. in all their Primary and Secondary School years. And if you want to prepare your child for the Writing element of the OLNA, they should be reading narrative and informative texts on social issues. The writing element requires a 600 word typed piece. Examples of topics included in the OLNA Writing Guide include 'Don't judge a book by its cover. ', 'Television has negative effects on the viewer. ', 'Who would you invite to address the graduating students of their final assembly?' Students need to be exposed to written pieces and conversations about social issues through their formative years so that they think about the social issues underpinning these types of questions. Students can only write what they can say, they can only say what they think. They need to be reading and talking to expand on their thinking so that they can bring this to their writing in these types of tests. Teachers obviously cover these issues in schools but what students produce can only be the result of the attention and effort that goes in. What is done in the home can make a big difference. The aim of literacy and numeracy in education is something called functional literacy i.e. the ability to read written material and be able to write correspondence necessary for day to day functioning. Signs, in hospitals, around hazards, in buildings, on trucks, around gas lines, road signs, warning signs, all those signs we need to be able to read so that we don't put ourselves or others at risk. Timetables, road maps, movie schedules, sources of information for transport, directions and events we may need for everyday functioning. Students need to be able to read and interpret these. Get children involved in reading and understanding these types of documents when you are out and about, they are used in assessments. Writing. The writing element of the OLNA is also timed. Students must be able to follow a simple essay structure and write about social issues. Any parent of a student struggling with literacy who wishes their child to achieve the literacy requirement for graduation must seek additional tuition in essay writing. Whilst it is in High School that students' performance on Naplan and perhaps OLNA has consequences it is in Primary School that the skills so necessary to engaging with these tests are taught. And if your child is in a Whole Language School or Balanced Literacy school then they are not receiving the type of instruction we know from evidence and science is so necessary to many children if they are to read. Accurate reading through knowledge and skill with the alphabet code, awareness of social issues, interaction with everyday sources of information, and internalisation of essay structure are skill areas parents can influence and support. Unlike those current students who are the first to encounter this shift in policy the rest of us have more time to put in place the work needed to avoid the stress of an unknown outcome to 12 years of schooling. Come along to my next MeetUp. Listen to Kay's story. Kay is a florist and the mother of 3 children, two of them twins, now in Year 4, and both diagnosed with dyslexia. Hear about how she made the decision to seek a diagnosis, the programs she has enrolled to teach them to read, what really helped to get her kids reading, and her experiences in liaising with schools. Kay is a remarkable mother and dedicated to supporting her sons. Hear about her recent training in Sounds Write Phonics, her decision to become their tutor and what she now knows about how kids should be taught. In recent weeks there has been a bit of debate going on in academic circles about diagnosis of Specific Learning Disabilities in Reading, what most would know as dyslexia. It was put to me that diagnosis of dyslexia muddles the terrain a bit in that it implies something intrinsic in the child that needs remedying, as against implementing evidence based reading programs so that all children learn to read. In my humble mind both elements are true. We do need to implement evidence based phonics programs so that all children learn to read. And we have the research that demonstrates if evidence based phonics programs are implemented then all children on the normal distribution curve shift to the right. Alison Clarke, Speech Therapist from Melbourne demonstrated this in her recent YouTube video, and it was also demonstrated through the Sounds Write Report to Schools in August 2009. But what is also true in my experience, is that children with dyslexia do have something inherent in them that needs to be acknowledged and which also informs how evidence based phonics is brought to them. In the normal heterogeneity in human brain wiring for the processing of speech sounds, some brains, to greater and lesser degrees, don't do so well in this particular area. I am not a neuroscientist and acknowledge that my knowledge about such scientific matters is poor, however, I see the manifestation of unstable processing of speech sounds in the children I work with every day . Although the hearing of these children is perfectly fine, the processing of those sound bytes can, and does, got a bit awry. The brain of some of these children will simply process different sounds as the same. In other children they can sound out the discrete sounds in a word but their brains jumble some of those sounds up so that the child experiences incredible difficulty in blending them all together. It can often take up to ten attempts to blend the sounds together, and not because they aren't trying or not thinking, they are just manifesting what their brains have processed and cobbled together (or not). And for many it will manifest in spelling. Unless a child says the sounds as they write (and sometimes even when they do), then what actually gets written on the page can be a bit of a lottery. But all of these manifestations of the processing difficulty that underpins dyslexia can be remedied, through the best of what we have learned from linguistics and science. I also see this everyday. Reading remediation through evidence based phonics is therapy, and working with it is truly an art. But what is different for these kids in comparison to those in the normal curve who are not on the extremes of heterogeneity in phonological processing wiring, is the amount of overlearning required for the brain to build the neural pathways associated with correct processing of sounds; the amount of overlearning required to build correspondences between sounds and symbols (letters); and the amount of overlearning required for building correct images for whole words (via the previous two elements). These kids need state of the art processes for learning. And they need much, much, much, more exposure and practice than kids who don't have brains not organised for accurate phonological processing. It takes more effort just to get the sound platforms right, and then it takes more effort to get the correct spellings associated with those sound platforms and then it takes more effort again to keep working with both enough for full images of words to be built. Which is why academics such as Dr Sally Shaywitz emphasise the importance of additional time for these kids. I also recommend that if they are required to learn class spelling lists then the lists need to be reduced. Otherwise we are asking kids with a disability to expend way more energy and time than anyone else. Do we ask that of any other disability group? I think it is important that all students with dyslexia and their parents accept and understand the foundational issue in the child's brain in processing speech sounds. Whilst the lack of neural wiring can be remedied through evidence based teaching of phonics, a trace of the issue always remains. Reading will possibly remain slower than others throughout their lifetime; spelling will possibly always remain difficult and require ongoing use of strategies learned during phonics instruction; and the manifestations of dyslexia will absolutely surface during times of stress. Children, and parents, need to understand this, and somewhere along the way children need to develop self management skills to reduce the impact of the 'dyslexia' and to cultivate awareness and strategies that calm a troubled mind. Whilst the primary focus of my work is to help kids struggling with reading, to learn the skills and knowledge of reading so that they can read ... I work with them not just so that they can do their school work, but because first and foremost reading is (or should be) a pleasure and because it can shift our mind in an instant ... if we immerse ourselves in reading. Years ago, when my daughter was younger, she often experienced troubling nightmares which at times were difficult to shift her out of. But with her increasing skills in reading, when she now has a difficult dream she can simply pick up a book from her childhood to read ... and it takes her back immediately to the feelings and experiences we have had in reading together. Reading can be an instant 'pick me up' and she has utilised an important self care strategy. Personally, my favourite part of my day is our reading aloud together at the end of each day. Nowadays I am not the only one reading aloud. She reads a book aloud at a level she is competent at reading and then I read aloud a more complex book. We talk about both stories, about the different writing styles, about our feelings ... our levels of excitement, which book is engaging us more and why, words or phrases that 'catch us' and where we think the story might go. And the stories we read often later become teaching points when real life situations emerge. Reading aloud together nurtures our relationship. In one of our conversations I mentioned that I enjoyed reading a good book more than I enjoyed movies. I mentioned that they lasted longer and that the feeling is richer, to which she replied, "yes, in books you can make the story your own, whereas in films someone has made the content up for you." She hit the nail on the head. Reading engages the imagination way more than movies. Oh, how I wish all our kids could read and reap the pleasures that come with that. A colleague of mine is heavily involved in teaching kids from often traumatic backgrounds to read. She is mindful that reading can be one of the few ways a child in trauma can escape what is going on around them (and rest the mind). If these kids don't have reading, maybe it is no wonder they turn to other, less nurturing, outlets. In my view the general population is ignorant of how big our illiteracy problem is. Kids not being able to read or not being able to read text with greater complexity, does not amount to one or two, here and there. By Year 9 we are looking at just over half the student population not able to read classroom text. And as you can imagine by the time we get to this age, very few of them are involved in reading aloud in the home. In fact, statistics tell us very few of them have been experiencing that for a very long time. And particularly if a child is struggling to with how they are being taught to read, then the thrill and pleasure of stories and reading must be kept alive through reading aloud to them. It takes time to learn to read (3 years with an evidence based program, the trajectory is much more elusive when not using an evidence based program), so during that time children's connection with reading must be maintained and enriched through other avenues i.e. reading aloud. Reading aloud together is such a pleasure, and has so many health giving benefits. If you recall fond memories of being read to as a child, or wishes you were read to as a child, then take up the call and read aloud to the young, old, sick, loved, people in your lives. I've taken my first step in creating a face to face community supporting parents who would like to do more than sit on the sidelines frustrated and unsure of what to do for their kids who may be struggling with reading. If I had to create a toolbag of goodies for parents who are dedicated to supporting their children to learn to read (and I mean really read - decode - not just guess) I would include the following. The first is a recently compiled YouTube presentation from Alison Clarke of Spelfabet. https://www.youtube.com/watch?v=mafVooDom8k&feature=youtu.be In this video clip Alison demonstrates the difference between teaching practices that teach guessing and the approach used in effective synthetic phonics programs. She begins with a visual representation of a classroom of children, where they sit on the normal distribution curve and what happens to the little chap down the end with an undiagnosed language disorder. She finishes with what happens to the normal curve when everyone in the classroom receives evidence based phonics instruction! For those of you who don't know, Alison is a Speech Therapist in private practice in Melbourne and very active in promoting high quality information about reading and spelling. 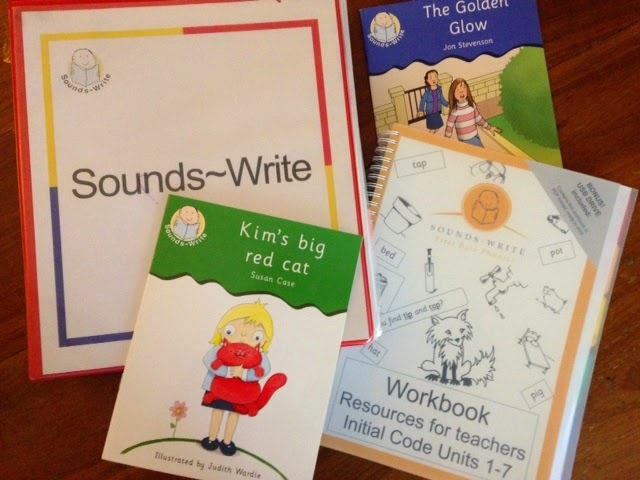 The second item I would include in this toolbag are a couple of blog posts from one of the creators of the Sounds Write Phonics Program, John Walker. ''Should Key Words be Taught as Sight Words' is the first post. The second is 'Linguistic Phonics: A Practical Example". Both these posts give clear examples to parents of how classroom spelling lists or 'sight' words should be worked with at home and how the reading and spelling of all words should be approached. Approaching reading and spelling in this way teaches children about how the English Alphabet Code works, an important ingredient missing in most classrooms. And if you are interested in why children don't seem to understand how the code works then perhaps this recent post from John 'Sound to Print: The Appliance of Science' will help. Next, I think every parent should have a copy of the Alphabet Code Sheet in their homes. A free, and very useful one can be found on the Phonics International website of Debbie Hepplewhite. Given how much instruction struggling students and children with dyslexia, need, in order to learn to read, it is imperative that practice is done at home. Which is why I work in partnership with parents (and teachers) - to maximise consistency and repetition in skills and conceptual understanding. But one of the areas which most adults are deficit in, is in knowing the 44 sounds of the English language and the range of spellings for each sound. Everyone needs guidance on this, and an English Alphabet Code Chart, displayed in the home and referred to often, is invaluable. And two books which I think are first rate. The first is 'Overcoming Dyslexia' by Dr. Sally Shaywitz. Whilst it is written for parents of children with dyslexia, I found it very approachable in terms of understanding the sound basis to reading problems and why differentiation of speech sounds is so important to all else that comes thereafter. A great resource. The second is Raising Kids Who Read by Dr. Daniel T Willingham. He is criticized slightly in the post quoted above from John Walker for what he says about teaching the code, but the bulk of the book is about promoting reading, and I think he has some great things to say. I am a person who loves books, has written in a journal for most of my life, and who birthed a child who struggles with reading and learned to dislike it, and writing, intensely. Thankfully, we are well past this result of poor teaching and lack of understanding about reading. Some of the suggestions about small initiatives that can be undertaken in the home to open children up again to reading, and to slowly engage them in the pleasure of reading, helped me turn a very stressful and disheartening situation around. For his suggestions I am grateful. All of the suggestions and resources noted above have played a powerful role in turning my experience of parenting a child with reading difficulties around. Due to their suggestions (and her very open teachers) my daughter and I are increasing our experiences of fun with reading and writing every week! I have been on a very steep but exceptionally rewarding learning curve. May all parents of children struggling to read and write be blessed with the same end result. That is my wish for all of them, and why I am passionate about involving parents in learning. I have just finished reading this beautifully written book, rich and full of much to think about. 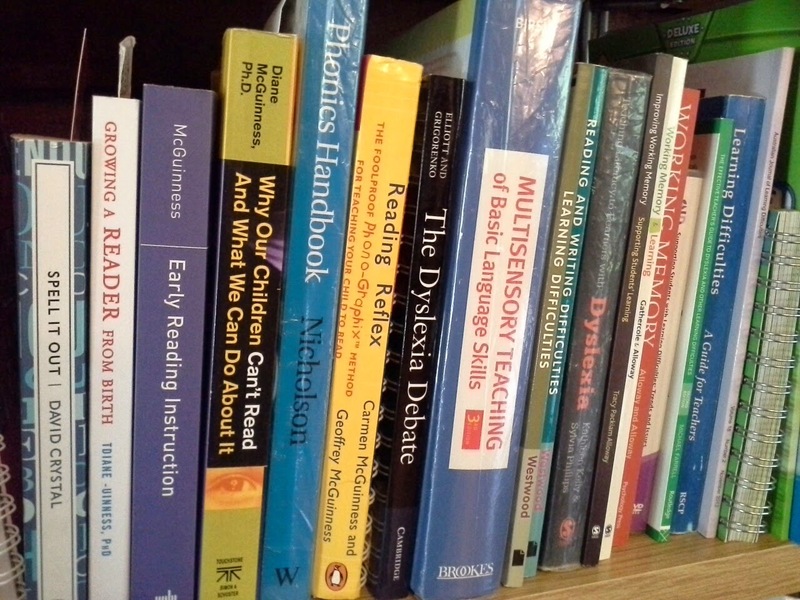 In my specialist remedial tutoring with students with dyslexia I am so focussed on bringing the best of what we know about how to develop the neural processes so necessary to reading, that I sometimes overlook the experiences of the young people (due to their dyslexia), in their everyday familial and educational lives. This book forced me to think about that a little more. Phillip Shultz writes "Pain is always there, near the surface, ready to assert itself in demeaning, shameful memories ..." He is writing about the pain that is spawned from all the demeaning and dispassionate comments and opinions proffered by uninformed and unthinking adults in the lives of children with dyslexia. He asserts that 'dyslexics are conditioned by their environments to blame only themselves for their learning difficulties ... For a child to know they're different and be branded as such from other children is always painful." In his book he eloquently describes how the pain of knowing one is different and how the innocent self assessment as unintelligent, plays out in a child's life and how easily those scars can assert themselves. Every child with dyslexia and/or learning difficulties comes into remedial tutoring or the classroom with a lived story that has developed out of their specific experience. And it is not just about how well they think they can read, spell and write. At a deeper level it is a story about their brain, their thinking, their intelligence .... it is a story about themselves. Phillip Shultz writes with heartfelt honesty about moments in which the scars from his story surfaced as a child and as an adult, and the strategies he developed and used to avoid circumstances in which his scars might "assert themselves". To a child in a wheelchair, no one tells them they are lazy when they don't walk. But for children with dyslexia or learning difficulties, they are told (way too often) that they are lazy, don't pay attention or write like a baby. Phillip Schultz describes how his dyslexic thinking makes it impossible to respond to others in these moments. He cannot gather his thoughts. His experience is that others don't listen. And he is unaware of the true culprit behind these words - the ignorance of others. So I wonder how to free up the story that binds them to isolation and restriction? I wonder about the power of story and what might be released in telling a little of that story. Reading enables young people to gather information, to learn about the world. This information, together with technical writing skills, is what the education system requires that they draw upon and put into their writing if they are to graduate from high school. So if a young person is not reading, then their only other avenue is via life experience. But here again, difficulties with reading and writing, can curtail what a young person engages with. Some activities become 'safer' than others. It seems to me that if the surface validity of the negative and limiting story borne out of conditioning is somehow questioned and cracked open, then the scope of possibility in a child's life can also open up. So I am going to offer little windows of opportunity for some of my students to talk about their thoughts and feelings about their dyslexia. And I am going to bring them stories and information that cracks open their isolation. Maybe then a glimmer of interest can be ignited, and then we have the groundspace for the start of a new story. For the past two days I have attended workshops conducted by the international expert, Dr. Louisa Moats. Yesterday the focus was on reading comprehension, today it was on dyslexia. Towards the conclusion of yesterday she made a brief comment along the lines that "there is no evidence of changing someone's reading competence in a short period of time. It is only after 2 to 3 years of teaching (based on what we know from science) that change (learning) occurs." It left me wondering whether school administrators and teachers really understand this very simple but powerful point. Schools need to be doing the same thing over several years to have an impact on reading acquisition - it's as simple as that. In today's workshop Dr Moats skilfully demonstrated how much we now know about what we have to do to impose reading on the brain. The brain does not have reading functions inbuilt in its design. Other areas within the brain have to fire and coordinate to built neural pathways in quite separate areas of the brain in order for a child to read. In a hundred years of mandated education (in the US) we have come a long way in knowing from research and science what is behind efficient coordination of inbuilt brain functions and what we need to do, as much as possible, to make that coordination happen. So when we say that it is only after 2 to 3 years of good instruction to build reading in the brain, we are saying that it is only after 2 to 3 years of the very best of what we know from science that will build reading in the brain - not just a dabble here, a nice idea there, or some fun activities later on. We are talking about very explicit practices, grounded in linguistics and our knowledge of linguistics, provided in a very systematic and cumulative way. The implications of the very simple statement about there being no evidence showing that we can change someone's reading competence via a brief, short intervention, is that if a school is to effectively teach its students to read then it must be via a whole school, systematic, evidence based approach. It means that all teachers must be thoroughly trained in the evidence based approach; and it means that all teachers must implement it with fidelity. Then students would get the 2 to 3 years of evidence based instruction we know they need. Louisa finished today's session with a comment about some of the teaching practices (taught in some Universities) that occur in many of our schools. Some of these practices direct our children's attention away from the discrete elements in words (the letters) and the sounds they represent. When this is done children's neurological phonological processor is not engaged. Learning to read requires the interaction and coordination of the phonological processor and the orthographic (letter) processor. Distracting children's attention away from what they need to attend to is not a benign practice, it is not harmless. If this type of conduct occurred in medicine it would rightfully be labelled malpractice.